I’m making hard apple cider from scratch. 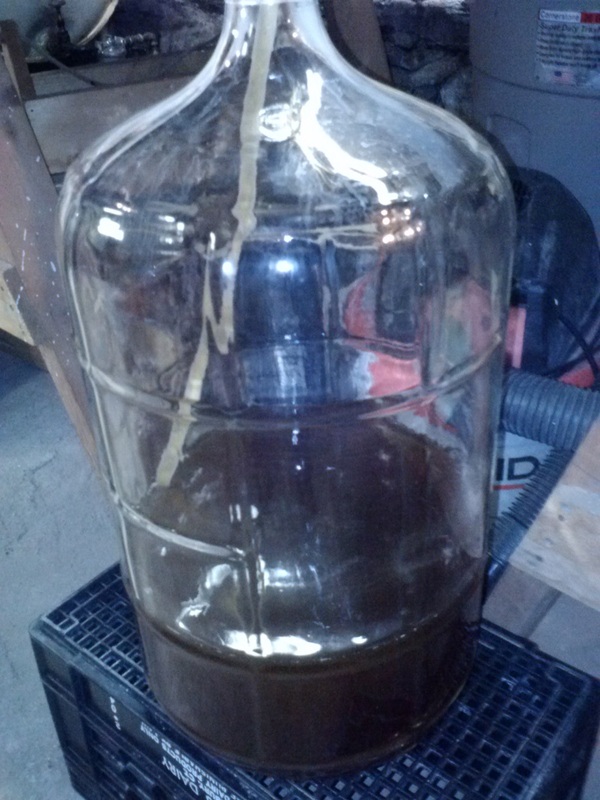 This is my first attempt at fermentation, but how tough could it be? Hard cider was made at every family farm with access to apples for the first three centuries of American history. Before refrigeration, sweet cider was a seasonal drink, refreshing and much anticipated, but subject to spoiling. Allowed to ferment, it became a safe and delicious drink that would keep: easily made from readily available apples, low in alcohol, free from harmful bacteria. 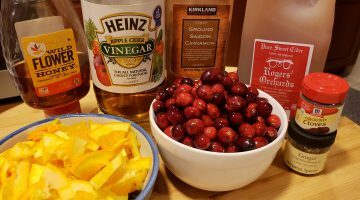 Less challenging to make than beer and not requiring finicky grapes, hard cider was a means of preserving the apples and avoiding water contaminated with disease-causing bacteria. 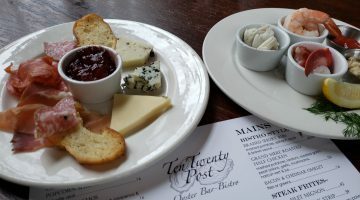 Hard cider, simply referred to as cider in the rest of the world, (and from here on out in this article) dates to Old Testament times. (Remember Adam and Eve and the apple?) Romans and Greeks knew it well – Julius Caesar was said to be a fan. It was widely made across Europe in the Middle ages and beyond. Apple seeds were brought to New England by the early settlers. Apples were grown on most family farms for multiple uses, including fresh fruit for eating and baking, preserving, and cider making. Sweet eating and baking apples aren’t all you need for classic cider. 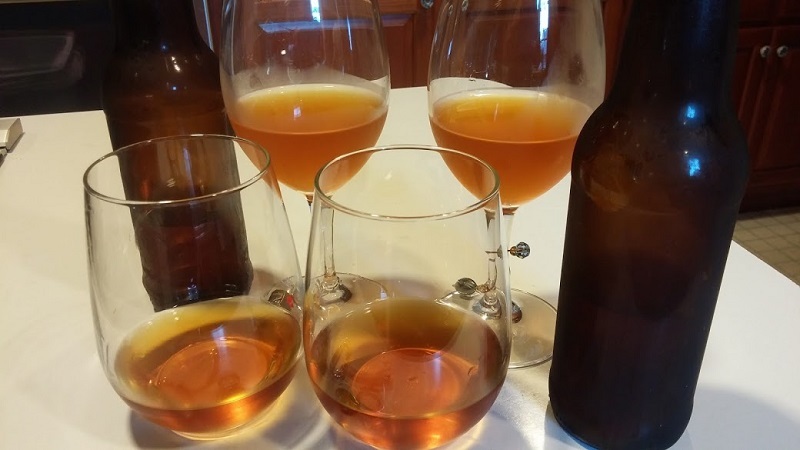 What’s known in the trade as a “spitter” apple, so tart and tannic that you want to spit out the first bite, adds character, complexity and flavor to fermented cider. Apples are grown from grafted trees since the seeds do not reproduce the fruit they came from. There are thousands of heirloom varieties being cataloged by organizations like Seedsavers in Iowa and Apple Search in North Carolina. Growers like Ezekiel Goodband of Scott Farm in Dummerston, Vermont or the Beardsleys in Shelton grow the heirloom apples for both eating and cider making. 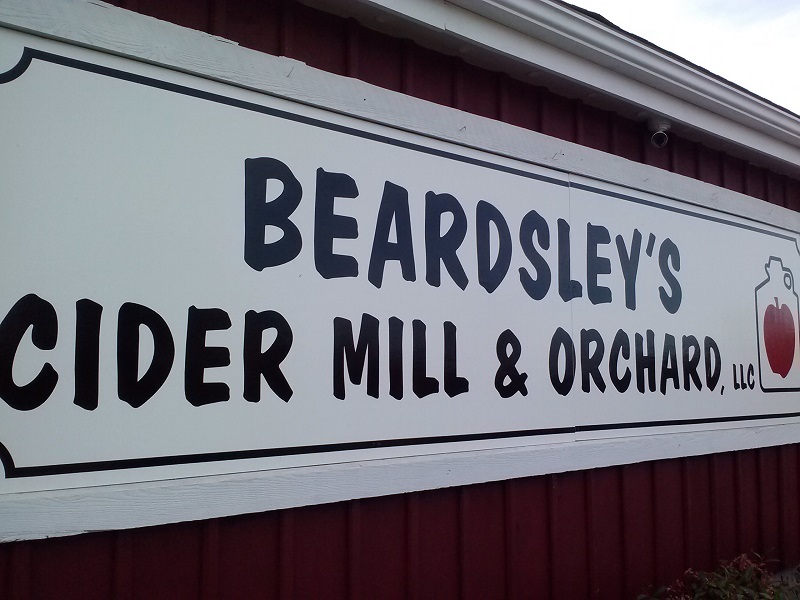 Since I have no backyard trees and no desire to press my own juice (lots of hard work there), I got my fresh cider from Beardsley Cider Mill and Orchard in Shelton. Last Sunday we went up to get our juice from a batch intended especially for cider-making, including some apple varieties not usually found in sweet cider. 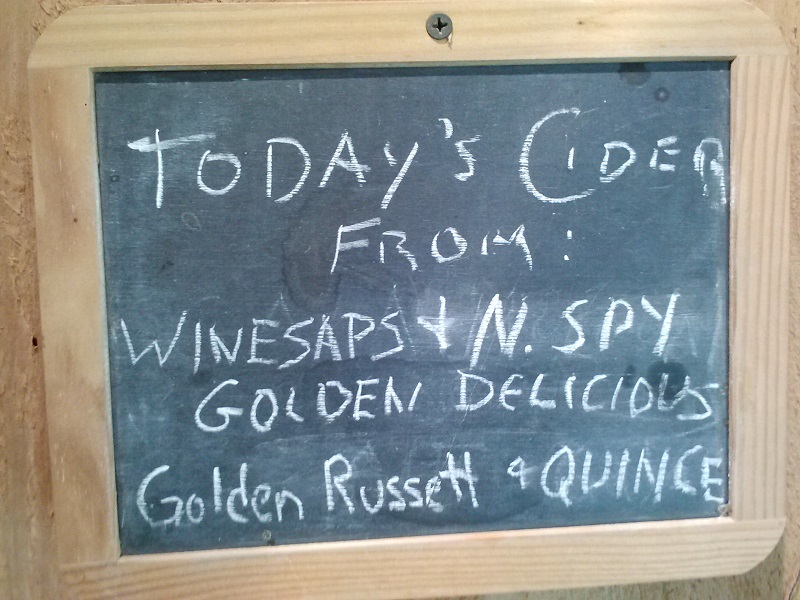 The blend this week was: Winesap, Northern Spy, Golden Delicious, Golden Russet and Quince. 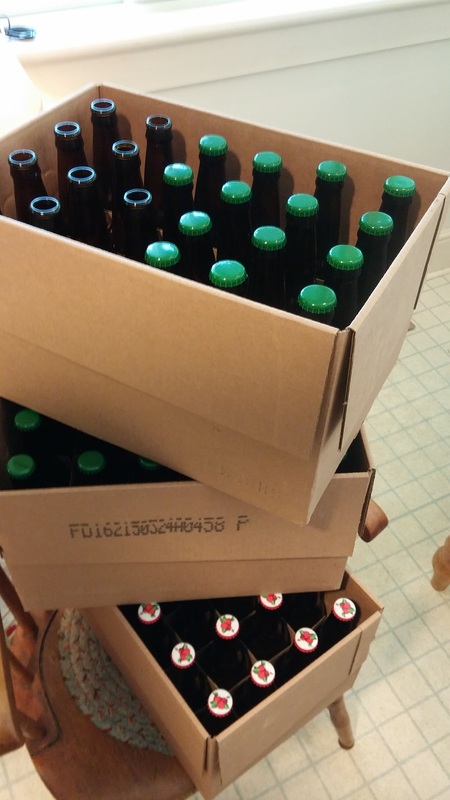 There was a happy group of cider-makers there filling their fermenting containers, comparing notes, and offering (with pride) tastes of last year’s cider, now finished and bottled. 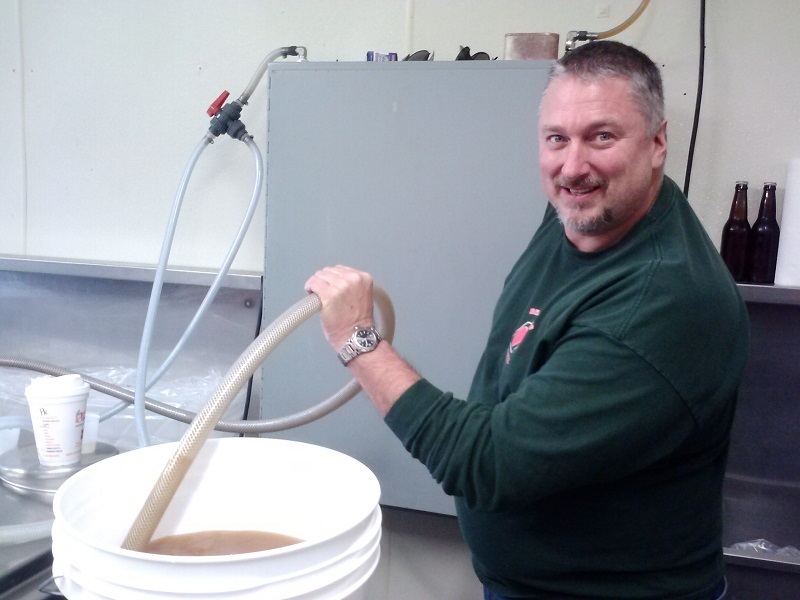 The hard-cider-to-be is dispensed from a hose by owner Dan Beardsley – any number of gallons you want. As a first time cider-maker, I needed some gear. A trip to Maltose Express in Monroe set me up with everything I needed. Mark and Tess Szamatulski run this mecca for home fermenters of all persuasions. 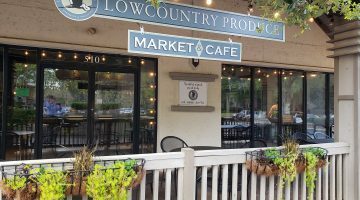 The high-ceilinged industrial space is packed with wooden barrels, grape crushing equipment, stainless steel pots for beer-making, fermenting vessels ranging from one gallon to hugh demijohn sizes, beer-making kits or supplies for your own recipe, books, tools and more. 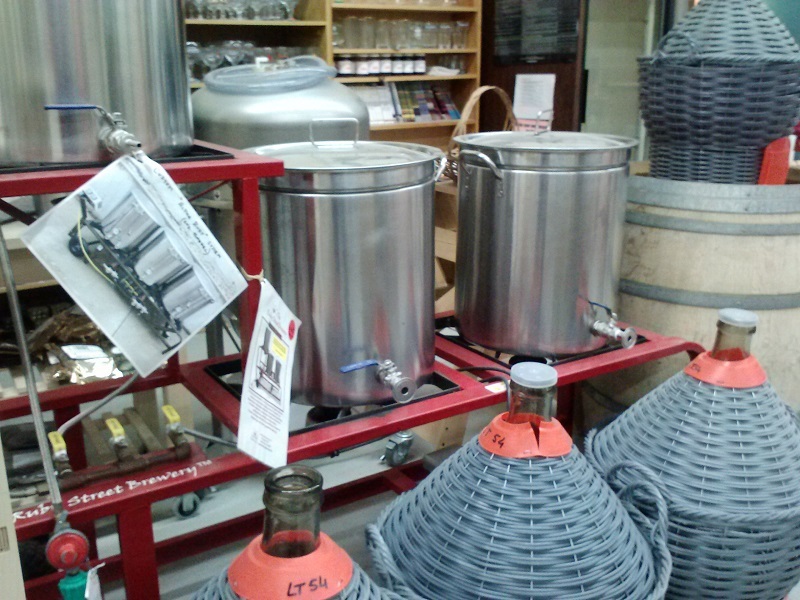 When I visited, the home winemaking season was just winding down. (They get truckloads of wine grapes at harvest time.) 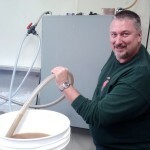 Beer-making goes on year- round and is their main focus. Cider-making in the fall is also encouraged here. Maltose carries all the stuff you need along with a bounty of expertise and support. They set me up with a food-grade bucket for initial fermentation, an imported italian carboy (a jug like you see on a water cooler) for long-term fermentation, a hydrometer to measure sugar levels, tubes to “rack off” the cider (siphoning it to another container), yeast for fermentation, and some chemicals for sanitization – a complete kit. 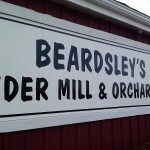 Best of all, they provided a recipe with step by step instructions, a book with detailed information about cider-making, and more of their time than I deserved to ask questions and gain confidence. Email support is available too. They are helpful experts. 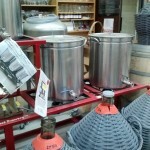 As an added bonus, most of this equipment can be used for beer or wine-making, if I expand my repertoire. 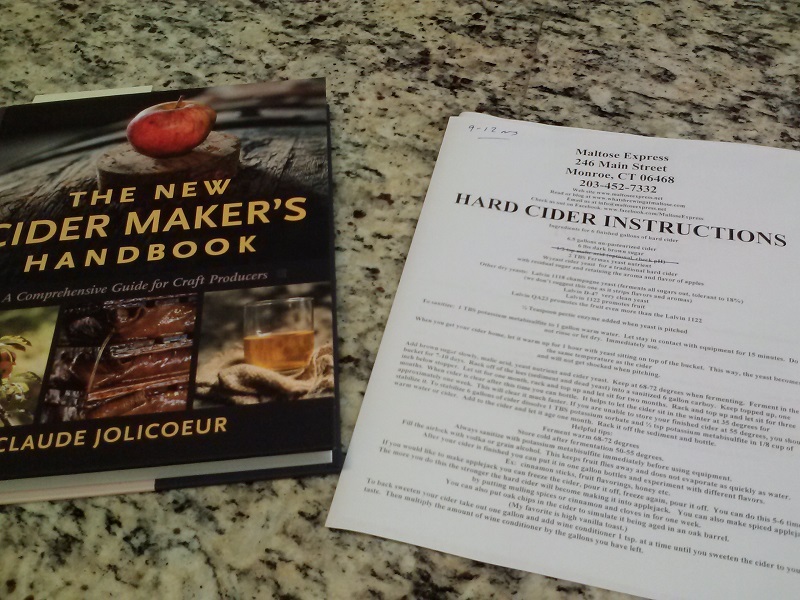 In addition to Tess and Mark’s support, I have two books to guide my cider making. 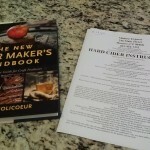 Last Christmas I received The New Cider Maker’s Handbook by Claude Jolicoeur, which got me interested in this project. It has clear step-by-step instructions, great pictures, and simple explanations of the process. At Maltose, the cider-making kit includes a copy of Cider: making, using & enjoying sweet and hard cider by Annie Proulx (yes, the best selling author!) and Lew Nichols. Chapter One covers a twelve step sequence of cider-making from picking to storage. I guess step thirteen would be to drink and enjoy. The text is clear, the process well described, and the line-drawings are helpful. With these, the recipe from Maltose, and a few YouTube videos, I’m ready. 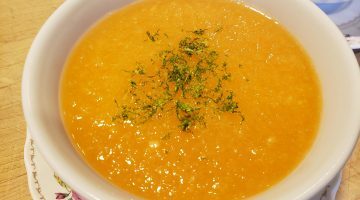 When I got home, I followed the instructions from Maltose to add some brown sugar and the bready aromatic yeast, set up the air-lock to keep out harmful bacteria, and let nature take its course. The cider is fermenting in the basement. As the yeast converts the sugar to alcohol, carbon dioxide bubbles out through the airlock. In a week or so, I’ll rack it off the lees (sediment) into the carboy where it will continue to ferment and develop for six to nine months. I’ll keep you posted on the progress. I have to be patient – it’s going to be a long wait until the first taste.